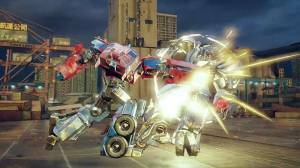 transformers: forged to fight might just be the next big reason not to put your mobile phones down. It is a game rendered in full 3D – showcasing what seems to be a rather familiar fighting Gameplay. This may not come as a surprise as the developer of the game, kabam, was responsible for introducing Marvel Contest of Champions to the world. Now before you think that this is nothing more than just a re-skin of the successful game, we recommend that you try the game to find a ton of improvements to the gameplay, which are of course relevant to the game's theme. In essence, this game is a mix of RPG, arcade, and strategy-type gameplay that you'd surely appreciate. Much like the proven Gameplay pioneered by the game Marvel: Contest of Champions, you mainly put together your own roster of fighters (the combination of autobots and decepticons in this case), bring them to missions, and of course carry out their battles in a number of varying arenas throughout the storyline or through online encounters with other players. Much more, you also get several versions of your favorite bots in action (e.g. versions of Optimus Prime in the original cartoon series, as well as that on the more recent 3D movie) as you advance in the game. This game includes 1-on-1 battles, RPG elements similar to a dungeon or base-raiding game, as well as city-build like elements to showcase much of the passive upgrades you can invest in the game. Also, there are similar options to where you get to generate much of the game Resources (you’ll be needing to level up, or to unlock more abilities over time). Lastly, there are also a ton of Playable Characters that are exciting to collect! 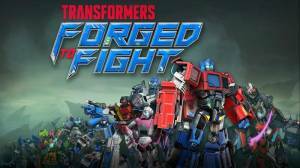 No discussions open for Transformers: Forged to Fight at the moment.